The Star Wars universe has lost an important figure today, one who helped bring the franchise's most beloved droid to life. 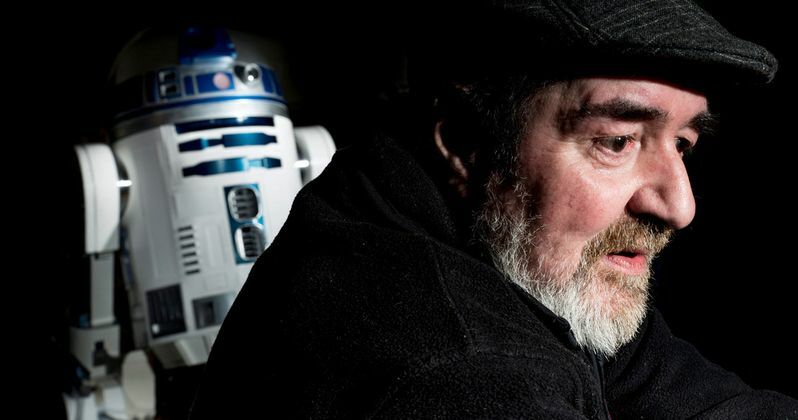 BBC is reporting that Tony Dyson, who built the original R2-D2 robots for the 1977 sci-fi classic Star Wars: Episode IV - A New Hope, has passed away at the age of 68. He passed away from natural causes, but an autopsy is being performed to determine the official cause of death. Tony Dyson owned the The White Horse Toy Company, and in the late 1970s, he was commissioned to build R2-D2 robots for the 1977 classic Star Wars: A New Hope. He ended up building two robots equipped with a seat for actor Kenny Baker to sit in, along with two more "throw away" units that were used in a bog scene in the 1980 sequel Star Wars: Episode V - The Empire Strikes Back. He ended up creating eight R2-D2 robots in total, along with master moulds and an additional head. Beloved concept art specialist Ralph McQuarrie provided the actual design for R2-D2, but it was Tony Dyson who actually built the robots. It isn't known if Tony Dyson helped worked on the new R2-D2 unit that was seen in the box office blockbuster Star Wars: The Force Awakens, but the beloved robot did play an integral role in the story. While Tony Dyson is best known for his work in the Star Wars universe, he did work on a number of other projects. Dyson also worked on Superman II and Moonraker, and was nominated for an Emmy for his film special effects supervision. He created 36 model spacemen complete with backpacks, laser guns and space suits for the space scene in Moonraker. He also helped bring the evil robot Hector to life in the 1980 sci-fi film Saturn 3, starring Kirk Douglas, Farrah Fawcett and Harvey Keitel. He also created and designed 35 feet of latex human intestines in a dream sequence for the 1980 cult classic Altered States, starring William Hurt, and he also worked on the giant robot dragon in the 1981 movie Dragon Slayer. In addition to his film work, Tony Dyson helped design and build robots for electronics companies such as Sony, Phillips, Toshiba, and robots for several TV commercials and amusement parks. Will you be watching one of the Star Wars movies today to celebrate the life of Tony Dyson after his untimely death? Let us know what you think below.